I did report this one to Amazon. Hope others will, too. UPDATE: Wow. Now I've been online 25 minutes with "the largest DJI dealer in the U.S." and finally had to hang up after being told "I'll be right back." Second call. The first forgotten hold was 15 minutes. My question was concerning almost $20 shipping for the tiny $3 props. I hope this is not a trend in this industry. The ad does have mention the Mavic a few times but the description clearly says Tell as does the title and the photos. I would be pretty confident that you would be getting Tello props. Amazon would back you if they were wrong. Too bad the seller doesn't pay enough attention to the wording. 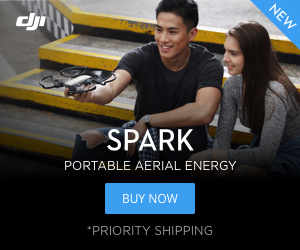 Personally, I would only order props from Ryze or DJI. I don't care for most third-party props. These kinds of things are, sadly, very common all across the internet. Two rules of thumb will protect you in most cases: 1. Read the fine print like a skeptical lawyer. 2. If the deal seems to good to be true, it probably is. Also, always us a credit card to pay for your on-line purchases, not a debit card. With a credit card you can contest the purchase if you don’t get what you ordered, usually successfully. There has to be evidence of actual intention to defraud, but in that case they’ll fix it. Amazon is usually good about that, too.